Carly Callaghan of the TSP Residential Property team discusses the Green Deal Scheme (‘the Scheme’) which was launched in 28 January 2013. 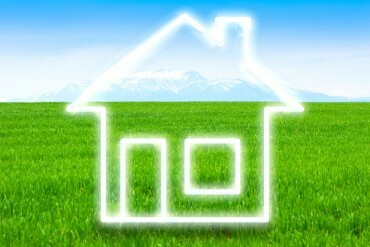 The Scheme is a Government initiative designed to help homeowners and businesses to carry out energy-saving improvements to their properties, without incurring any up-front costs, by providing them with a long-term loan which is repayable through the property’s fuel bills over a period of time. In order to establish whether a property is eligible for the Scheme, a Green Deal adviser will undertake an assessment and provide the homeowner with impartial Green Deal advice and recommendations on how the property’s energy efficiency can be improved. Energy saving improvements which may be covered by the Scheme include loft or cavity wall insulation, heating, draught proofing, double glazing and/or the installation of renewable energy technologies, for example, solar panels. If you decide to proceed with the works (which must be carried out by an authorised Green Deal provider) you will be required to sign a Green Deal plan. This is a contract between you and the Green Deal provider stating what work will be done and confirming its cost. When buying or selling a property (or having a property gifted to you) it is important to remember that responsibility to repay a Green Deal loan will be transferred to a buyer upon completion of the purchase of a property. A seller must disclose to a buyer if a property is subject to the Scheme prior to exchange of Contracts. In addition to replies to enquiries raised by your solicitor and provided by the seller, the existence of the Scheme will also be evident on the Energy Performance Certificate (EPC), which is a document which every seller (subject to a few exceptions) must provide when selling a property. The introduction of the Scheme will have an impact on the sale and purchase processes, although as it is a relatively new scheme, a noticeable impact has not yet been felt. Of course, if a property is affected by the Scheme, depending upon the amount of the loan outstanding, this may affect the price or saleability of the property. Buyers could insist that the loans be repaid prior to completion, which may come with its own complications. If a buyer is obtaining a mortgage, most mortgage lenders also require that they must be advised of the existence of the loan before they give their consent to the purchase proceeding. The Scheme itself though appears to be a great help to property owners who may otherwise have been unable to afford to carry out such works and of, course, the existence of energy saving changes having been made to a property may make it more saleable by reducing fuel costs in the long term.